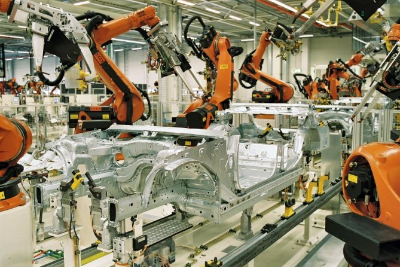 World Bank’s research reveals that the ill-effects of increased automation will be felt most by developing countries. For India, it means automation threatens 69 percent of its jobs. More importantly the conventional path to economic prosperity cannot provide results in today’s developing countries. China, despite at higher risk, has taken steps to minimize the effects as much as possible. 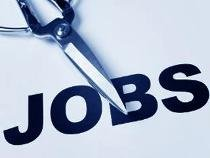 White-collar jobs are under threat too. The machines are coming. 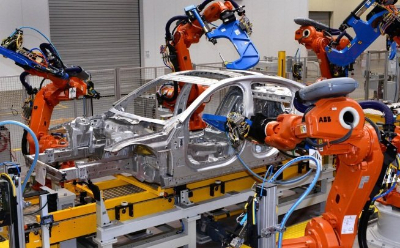 69 percent of India’s jobs and 77 percent of China’s jobs are threatened by automation, reveals research by the World Bank. In general, technology could unsettle the traditional path to economic progress and this fundamental-level shock will hit developing countries the hardest. Jim Yong Kim, World Bank president, emphasized that in addition to acknowledging the power of technology to fundamentally alter the world, we need to develop an accurate foresight when investing in infrastructure. We need to be aware of the kinds of infrastructure that would be a backbone of the future economy. Given the automation boom and its impact, the traditional economic path from agriculture through light manufacturing to full-fledged industrialization will not be feasible for developing countries. Why this is an unprecedented challenge? India’s manufacturing output has worried policymakers for long. The “Make in India”-“Skill India” programs aim to set up India as the next manufacturing hub. It is hoped India will successfully replace China. Expecting manufacturing to pay off the same dividends as in the past will push India further into peril if the country blindly mimics the past strategies of prosperous countries. Its strategy also seems blissfully ignorant of the unlikelihood of India taking on a primary role as manufacturer of the means of automation. When does China seem to be at an advantage? Kim compared China and India to make a few comments on China’s diligence in areas India had neglected and how this placed the former at an advantage. 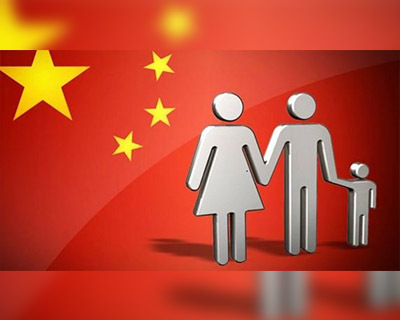 In examining the approaches to the problem of stunted growth, he said China’s one-child policy might be the reason for the decline in child stunting and malnutrition which has now fallen to 10 percent. India, by contrast, has a stunted growth of 38.7 percent. Kim says factors like educational outcomes and child stunting already place 40 percent of the employable population at a disadvantage which is made worse in the global digital economy. China, over years of effort has brought down this once widely seen problem. China has also recognized its priorities faster and is ready to change at the ground level to fulfill them. Its openness of domestic industries to global competition and willingness to trade beyond the domestic domain is a sure sign of action towards ending poverty. India, on the other hand, seems slower and more negligent in addressing issues like poor sanitation’s ill-effects on child health and appears to ignore or flip away the resultant repercussions. 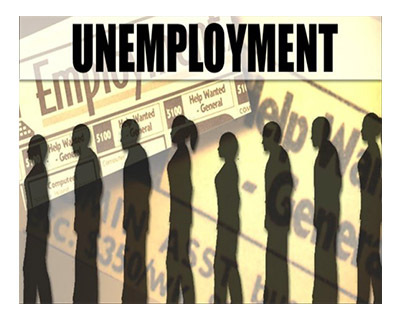 Where is the increase in unemployment leading to? 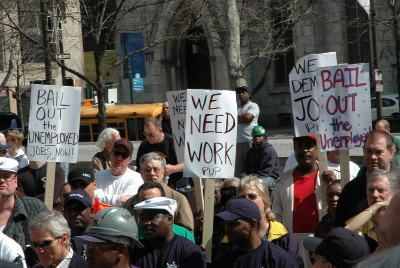 In US, effects such as increasing income inequality are already being felt. These effects are applicable to other advanced economies as well. Routine manual jobs have taken the first hit since automation emerged. As middle class jobs like clerical or assembly line work are taken by machines, frustration over rise in income inequality increases.This was already apparent in Silicon Valley and San Francisco where long time residents had to move out to accommodate high-paid tech workers who could meet the hiked house prices. Martin Ford, futurist and author, opines, "What you see are a few people essentially hoovering up all the income and all the success and everyone else kind of struggling. And one of the implications of digital technologies and the Internet is that more and more of the economy is coming to look like this." He adds that with time, the hollow in the middle created by vacuuming of middle class jobs will expand to eat up low-skill and high-skill jobs as well. Localization will soon gain momentum as the cost-benefit of offshoring is overtaken by cost-effective robots that also ensure higher productivity.This will have adverse long-term economic impact on countries such as India and the Philippines who have benefitted from the booming offshoring trend of the past decade. Who feel the threat is exaggerated? Optimists say the fears of automation annihilating jobs have a long history. Some economists and historians are known to be in this category. They point to the protests of textile workers (the Luddites) who agitated between 1811 and 1816 against automation out of fear of losing their livelihoods to machines such as spinning frames and power looms introduced during the Industrial Revolution. 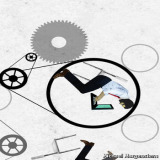 David Autor, an economist, says automation in practice creates more jobs.Automation of a task increases the demand for the surrounding non-automated tasks, he says. Autor says doomsayers do not realize that automation raises the demand for tasks done only by humans. James Bessen gives the example of weaving and the more recent ATMs. Initially thought to rob bank tellers of their jobs, ATMs enabled opening more bank branches in response to customer demand as their arrival significantly reduced the cost of running a bank branch. From 1988 to 2004, while average bank tellers per branch fell from 20 to 13, the number of banks rose by 43 percent. The tellers did not lose their jobs but were shifted to different roles like sales and customer service. He uses research on sectors such as IT, administration and healthcare to reinforce the argument that “automation redefines jobs rather than destroy them”. 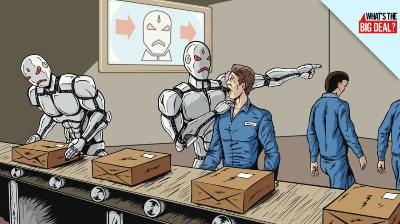 Deloitte, a consultancy, analyzed the British workforce to find a significant increase in takers for caring jobs – nurses, teacher, and careworkers – who still cannot be replaced by Artificial Intelligence (AI). This argument is countered by the observation that automation has a broader-based impact that is unprecedented and unlike previous technological revolutions where people could switch from one low-skilled task to another with ease, this time, the transition, if achieved, will be a harder, longer and rougher one. Another reason for optimism is Germany’s training model which responds real-time to advances in the industry by skilling its workforce to adapt and make the transition easier. Also, the optimists arguments seem less acceptable for developing countries where employees have much less choice and most jobs are at high risk of being lost to machines. How many white-collar jobs have already been lost to machines? While blue-collar jobs seemed to be at risk in the beginning, the time has come when academic Jerry Kaplan’s assertion that “Automation is now blind to the colour of your collar” rings truer than ever. Financial and Sports reporters. Wading through information, filtering the essentials and formatting it intelligently are daunting challenges one time or another for the best of the journalists. Not so for the machine! Wordsmith, one of the most sophisticated writing platforms works for the Associated Press. 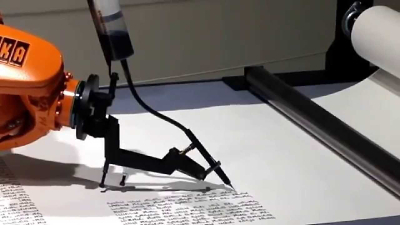 According to the CEO of Automated Insights, the company that created Wordsmith, “It writes about company earnings reports, and works with businesses in everything ranging from business intelligence to finance and sports to health and fitness.” A blind study showed participants could not differentiate between Wordsmith-generated content and a human journalist’s content. Online marketers. Be it crafting email subject lines that attract targets, placing ads in the appropriate locations to achieve maximum and most effective reach, software has proved its skill. Anesthesiologists and Diagnosticians. Sedasys, an automated system for delivery of low-level anesthesia in applications like colonoscopy was approved by FDA in 2013. Fewer takers than expected and stiff resistance from human anesthesiologists led to discontinuation of the product this year. But it was proof of the pervasiveness of automation. IBM’s famous Watson has shown significantly higher accuracy at detecting lung cancers than its human counterparts, thanks to its superior data-ingesting capabilities. e-Discovery Lawyers. In civil lawsuits, obtaining evidence before trial (known as the discovery process) might involve scouring through millions of documents. This was a lower-level task for a lawyer or paralegal that machines have mastered.